Radiant Historia: Perfect Chronology is ranked in the 94th percentile of games scored on OpenCritic. Radiant Historia: Perfect Chronology is one of the finest games on the 3DS, one of the finest RPGs in its genre, and one of the finest remakes of all time. The lack of modification done to the sprites will surely sour some, but it's arguably for the best, as it preserves the aesthetic identity of an already great looking adventure. The amazing combat system is thankfully left untouched, the new scenario offers more than its weight in gameplay, and the optional nature of most of the new content means anyone uninterested in the changes can simply find comfort in an amazing base experience. Radiant Historia was good enough where it didn't need a remake, but it's wonderful it got anyway. The original DS game isn't exactly dated, but the additions here are interesting and fun, even if a little unneeded. The new content mostly just seems more like the result of a development team revisiting an old project than anything else. The core game here is already so strong and so engrossing that more content is good no matter how necessary it might be. I'm thrilled Radiant Historia is back on a modern system, especially since the new release is now the best, definitive way to experience a masterful RPG. The 3DS may be seeing less games nowadays, but Radiant Historia: Perfect Chronology shows that the system isn't running out of quality games any time soon. When it comes to turn-based RPGs, Radiant Historia manages to hit all the right points that makes it a well-rounded title. 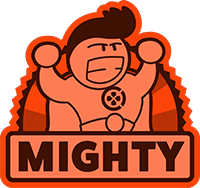 It’s smart, built around a great plot, exciting battles and awesome time-travel mechanics. The passage of time has done nothing to diminish the beauty of this fantastic RPG. This is an intense, clever, thoughtful and intellectually challenging JRPG that should remind people that when it comes to this genre, visual presentation and even the gameplay itself aren't the drawcard. It's that story that counts, and Radiant Historia manages to achieve something truly remarkable in giving players a time travelling plot that is genuinely interesting and worthwhile. Radiant Historia: Perfect Chronology feels like an unnecessary remake of otherwise a great game that is one of the best time travelling RPG for the Nintendo 3DS. We cannot recommend Perfect Chronology enough, to both newcomers, who will find an enjoyable and brilliant role playing game, and old fans of the franchise, who will find enough unreleased content to justify a second purchase. let's hope to see a sequel in a not too far away future. 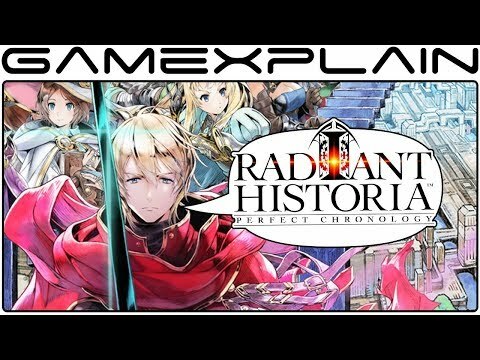 Radiant Historia: Perfect Chronology is a game that's bursting at the seams with interesting ideas. Its story is gripping thanks to a diverse cast of nuanced characters, while its time-traveling structure and grid-based combat provide a challenging mix of planning and puzzle-solving for those familiar with RPGs. At the same time, however, its frustrating backtracking and slow-as-molasses pacing drag the experience to a disappointing halt at times. Despite its issues, Radiant Historia: Perfect Chronology is a strong addition to the 3DS and a fitting swan song for a handheld that's beginning its descent into the annals of gaming history. Not only does Radiant Historia: Perfect Chronology add a few quality of life fixes that were not in the original, but it also adds new content that is really enjoyable. As a fairly underrated gem from the Nintendo DS library, Radiant Historia: Perfect Chronology really deserves this second chance it is getting that hopefully may lead to a much requested sequel. Even with its flaws, Radiant Historia: Perfect Chronology is a great addition to any RPG fan's 3DS library.